The preview feature will soon be rolled out for Android as well. It is a 30 second short video, which gives users a glimpse of the content they might be interested to watch. 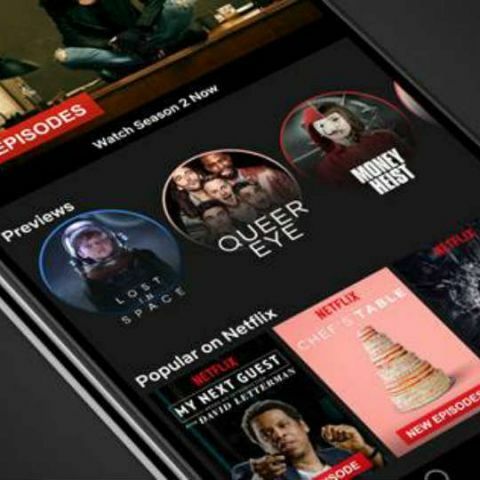 Netflix has rolled out Mobile Previews for its mobile app on iOS devices. The preview is 30 seconds short and is meant to give a quick look at the content which a user might want to watch. It is displayed in portrait format and like a slideshow, which one can tap to play or add to list. One of the best ways to know if you’ll like a new series or movie is to watch a quick trailer. Today, we are excited to introduce mobile previews (launching today on iOS and coming soon to Android) to the mobile experience. Mobile previews present members with a fun, simple, and easy way to learn about all the new content on Netflix -- and find something great to watch even faster. Each preview is about 30 seconds long and presented in a vertical format, so you can watch them without turning your phone. The previews are shown like a slideshow, so if you see something you like, you can tap play or add to your list. If not, you can swipe or tap the screen to advance to the next preview. Mobile previews load very quickly, are personalized to your specific tastes, and are easy to use. We hope you like using this new feature and that mobile previews help you find your next favorite show!